Jennifer Kim is a junior agent at the Dijkstra Agency. In addition to actively building her own list, she provides support to the team at SDLA. A graduate from the University of California Irvine, Jennifer holds a B.A. in English Literature and Spanish Literature, and spent a year studying Spanish literature and culture at the University of Barcelona. She also works as a bookseller, having done so since 2012. She represents middle grade, young adult, and adult fiction. In YA Sci-Fi/Fantasy, Jennifer is looking for multicultural projects featuring multi-dimensional, even flawed protagonists from diverse backgrounds. She enjoys unique, high concept stories, with strong world building and character development. She especially appreciates atmospheric settings. In contemporary YA, Jennifer is looking for unique, uncommon teen stories with an authentic voice. She enjoys stories that tackle themes of being an outsider, displacement, race, sexuality, and self-discovery, and is particularly drawn to bicultural characters and stories centered around subcultures, countercultures, and found families. In the Middle Grade realm, Jennifer is drawn to stories that don’t shy away from scary or tough subjects. She enjoys witty, whimsy stories, and values tales of friendship, families and found-families, and discovery. She is particularly drawn to stories that feature characters with unique and interesting hobbies or skills. In the adult market, Jennifer is particularly drawn to eccentric, unusual stories. She values a distinct narrative voice and memorable characters and settings, and is drawn to travel narratives, historical fiction, coming of age stories, family sagas, stories of displacement, and magical realism. In general, Jennifer loves literary writing, with challenging themes and characters. She is excited to add writers of diversity (including, but not limited to, all ethnicity, sexual orientation, mental and physical health, and socioeconomic status) to her client list. Please note that Jennifer is specifically not interested in picture books, romance, memoir, business books, cookbooks, poetry, religious/spiritual books, screenplays, self-help, or mystery/thriller/suspense. Include the word “Query” in your subject line. For fiction, include a 1-page synopsis and the first 10–15 pages of your manuscript. Full guidelines here. Jessica Watterson has been with the Sandra Dijkstra Literary Agency since 2013. 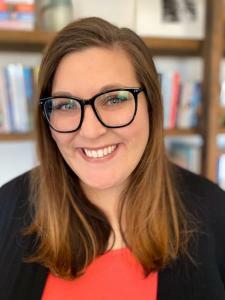 A graduate of the University of California at Irvine, Jessica has immersed herself in books and literature from the time she could first read. While in college, she started an indie review blog that featured author interviews and reviewed several self-published books that eventually ended up on the New York Times Best Seller list. Jessica represents romance, woman’s fiction, cozy mysteries, young adult fiction, and select author illustrated picture books. Jessica is always on the hunt for new and diverse projects, and is most interested in all genres of romance. She's drawn to fun, fresh voices, and character driven stories that keep a reader turning the page needing to know what happens next. Independent heroines are a must, in addition to well realized heroes who aren't alpha-holes. Some of her favorite authors include: Kristen Ashley, Jennifer Armentrout, Jeaniene Frost, Amy Harmon, and Colleen Hoover. Jessica is also open to select Cozy Mysteries that feature fun and independent heroines that can take what life throws at them with aplomb and a bit of humor. On the YA side, she is looking for just about anything that aligns itself with fantasy, contemporary, lgbtq reads, and of course a bit of romance thrown in is never a bad thing in her opinion. She is also interested in select author illustrated picture books that capture the fun and joy of reading between adults and children. Please note that Jessica is specifically not interested in: middle grade, non-fiction, memoir, cookbooks, poetry, short stories, screenplays, self-help, or religious/spiritual books. Include the word “Query” in your subject line. For fiction, include a 1-page synopsis and the first 10–15 pages of your manuscript. Picture Book Writers please include the full manuscript text pasted below your query letter. Please send all items in the body of the email, not as an attachment. If you have one, attach a full dummy in pdf format that includes 1-2 color samples, and link to online portfolio. Full guidelines here. Jill Marr is an agent at the Sandra Dijkstra Literary Agency. She graduated from SDSU with a BA in English with an emphasis in creative writing and a minor in history. She has a strong Internet and media background and over 15 years of publishing experience. She wrote features and ads for Pages, the literary magazine for people who love books, and continues to write book ads for publishing houses, magazine pieces, and promotional features for television. After writing ad copy and features for published books for years, she knows how to find a project’s "hook" and sell it. Jill is interested in commercial fiction, with an emphasis on mysteries, thrillers, romantic suspense and horror, women's commercial fiction and historical fiction. Jill is also looking for nonfiction by authors who are getting their work published regularly and who have a realistic sense of the market and their audience. Jill is looking for non-fiction projects in the areas of science, history, narrative nonfiction, sports, politics, current events, health & nutrition, pop culture, humor, music, and very select memoir. Include the word “Query” in your subject line. For fiction, include a 1-page synopsis and the first 10–15 pages of your manuscript. For nonfiction, include a book proposal. Full guidelines here. Thao Le is a literary agent at the Dijkstra Agency since 2011. She also handles the agency’s daily financial operations and select contracts. Thao represents middle grade, young adult, and adult romantic leaning Fantasy, Historical Fantasy, and Light Sci-Fi, plus select Picture Books by author-illustrators. In YA and Middle Grade, she’s currently seeking contemporary stories that are witty, heartfelt, and authentic. She's especially drawn to stories about family and friendships from the POV of diverse protagonists. She’s a fan of young characters who are passionate about the arts, sports, STEM, activism, and geeky fandoms. She adores stories with a touch of magic and whimsy, and is a fan of mythology and fairytales. In the Adult SFF realm, she’s a fan of character driven contemporary fantasy, near future science fiction, and romantic space operas. She is particularly excited about stories with fresh twists to common genre tropes, such as what Seanan McGuire’s Every Heart a Doorway does with portal fantasy. Some of her favorite authors are: Diane Wynne Jones, Neil Gaiman, Robin McKinley, Naomi Novik, and Juliet Marillier. Her favorite romantic tropes are: hate-to-love/enemies-to-lovers, slow burn, forbidden/doomed romance, dating/marriage of convenience, grouchy curmudgeon and bubbly optimistic, mistaken identities, and she is a sucker for beta second male leads who steal the show (and hopefully the heroine’s heart!). In the picture book realm, she's excited to work with illustrators who write their own picture books and is most drawn to art that is emotive and vivid. Her tastes tend towards stories that are character driven, witty, progressive, and ends with a twist. 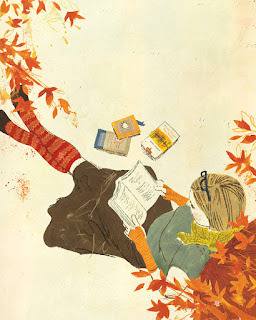 Some of her favorites include books by Jon Klassen, Minh Le, Cale Atkinson, and Kate Beaton. In general, she loves beautiful literary writing with a commercial hook and tight plotting. She is actively seeking underrepresented voices (including, but not limited to, all ethnicity, sexual orientation, mental and physical health, and socioeconomic status) to her client list. Thao is NOT looking for: non-fiction, adult literary fiction, adult general fiction, mystery/thriller/suspense, memoirs, poetry, religious/spiritual books, screenplays, or short stories. 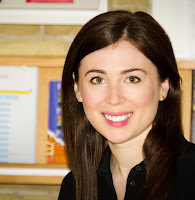 If you’re interested in getting published, soon or somewhere down the road, don’t miss upcoming How to Get Published workshops on Saturday, Aug 18, in Collingwood with literary agent Paige Sisley (see here) and Saturday, Nov 17, in Mississauga with literary agent Stephanie Sinclair (see here). For updated listing of How to Get Published workshops, see here (and scroll down). If you’re interested in Writing for Children & for Young Adults, Brian Henry will lead a mini-conference with Yasemin Uçar, senior editor at Kids Can Press, children’s author Kira Vermond, and YA author Tanaz Bhathena, Saturday, Sept 22, in Oakville (see here), a Writing Kid Lit weekly course on Friday afternoons, Oct 5 – Nov 30 in Toronto (see here), and a Writing for Children & for Young Adults workshop Saturday, October 12, in Sudbury (see here). For updated listings of Writing for Children & for Young adult workshops and for weekly Kid lit classes, see here (and scroll down). Also coming soon: Writing Conflict: Fight scenes, Dialogue scenes & Love scenes, Saturday, Sept 15, in Toronto (see here), and Writing and Revising, Saturday, Sept 29, in St. Catharines (see here). New: November at the Briar’s Writing Retreat, Friday, Nov 2 – Sunday, Nov 4. Three days to put up your feet, recharge your creative batteries, and get some great writing tips – all in the supportive company of your fellow writers. Details here. Welcome to Creative Writing, Thursday, afternoons, Sept 27 - Nov 9, in Oakville. See here. Writing Personal Stories, Thursday evenings, Oct 4 – Nov 29, in Burlington. See here. Writing Kid Lit, Friday afternoons, Oct 5 – Nov 30, in Toronto. See here. Tuesday afternoons, Sept 25 – Nov 27 (first readings emailed Sept 18), in Burlington. See here. Wednesday evenings Sept 26 – Dec 5 (first readings emailed Sept 19), in Georgetown. See here. Friday mornings Sept 28 – Nov 30 (first readings emailed Sept 21), in Toronto. See here. See Brian’s complete current schedule here, including writing workshops, weekly writing classes, and weekend retreats in Algonquin Park, Alliston, Bolton, Barrie, Brampton, Burlington, Caledon, Collingwood, Georgetown, Georgina, Guelph, Hamilton, Jackson’s Point, Kitchener-Waterloo, London, Midland, Mississauga, New Tecumseth, Oakville, Ottawa, St. Catharines, Sudbury, Toronto, Windsor, Woodstock, Halton, Muskoka, Peel, Simcoe, York Region, the GTA, Ontario and beyond.